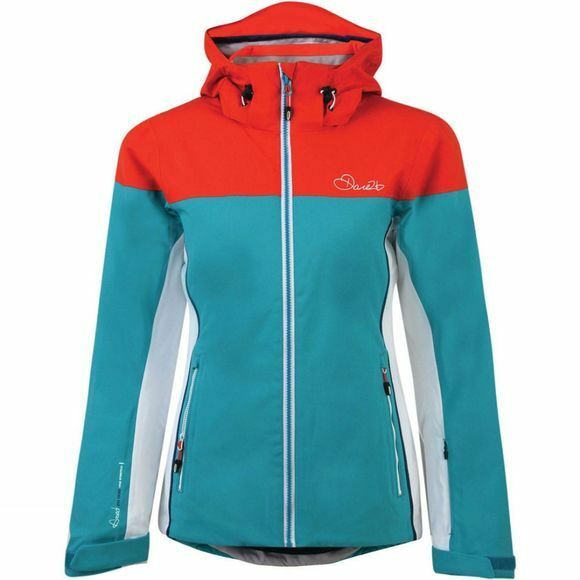 The Womens Invoke II Jacket from Dare 2B is for heading steep and deep to cruising fresh powder groomers. Solidly built ARED V02 20,000 ski sports jacket. Made from highly waterproof/breathable Oxford polyester stretch fabric. Seam sealed. Fully lined with high warmth, low bulk fill. Well-fitting yet roomy where needed for freedom and movement. Neat, foldaway hood with single pull adjuster. Powder blocking snowskirt with gel gripper. Adjustable cuffs to seal in the warmth. 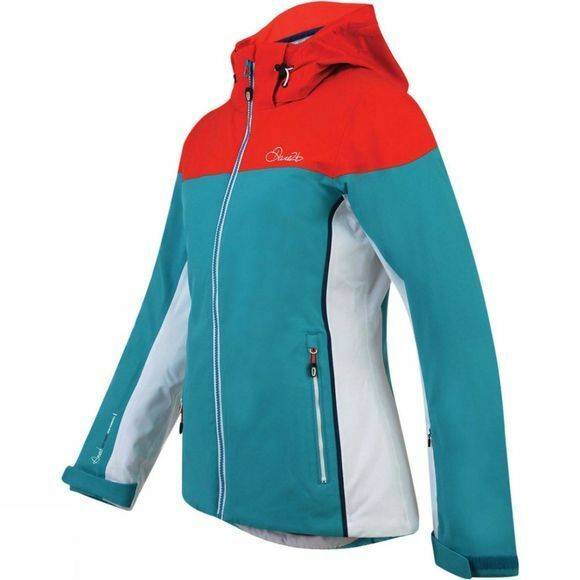 Multiple pockets including one for your ski pass. Contemporary colour block design with curved side seams for a flattering silhouette. Fully lined with high warmth, low bulk fill.